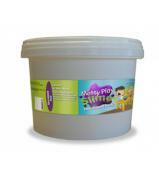 An excellent aid for social interaction, tactile and motor skills. 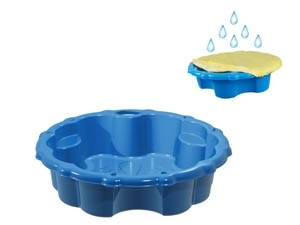 This shell plastic sand pit is perfect for outdoor games to use with sand and water. Great fun to be had on those warm summer days. 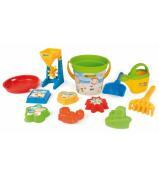 Perfect also for messy play activities involving our Gelibaff product range for hours of fun! Also includes protective cover to keep the things want in, in and the things you want out, out!